Carrwood is a small private stud of Welsh Section B Ponies located in Cheshire in the Peak District National Park. Carrwood was established in 1980 with the purchase of Morwyn Nicotiana who was a great winner for us. Most of the ponies in the stud today are descended from Lemonshill Alarch. 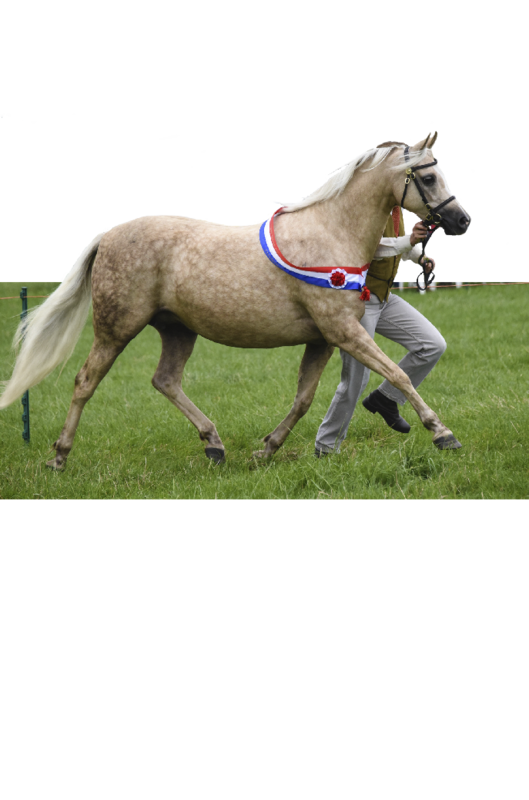 Alarch won the Royal Welsh Female Championship and WPCS Gold Medal for our stud in 1997 and her descendants have been shown with much success by Carrwood. 2018 Royal International Open Heritage qualifiers. Above: Gemma Wyman on her home-produced stallion Carrwood Phoenix,(Carrwood Orpheus/Lemonshill Alarch) 2018 Royal International Horse Show qualifier and winner of many Championships under saddle. 2018 RIHS qualifier Carrwood Shimmering Gold owned and ridden by LG Team owner Lucy Glover. Shimmering Gold (Carrwood Bronzewing/Cennen Seraphine) qualified for Horse of the Year Show2018 where they won the HOYS Final. Carrwood Aden Aur owned by Mr. I. Palethorpe and ridden by Izzy Palethorpe was very consistant in 2017 and qualified at their first try in 2018. 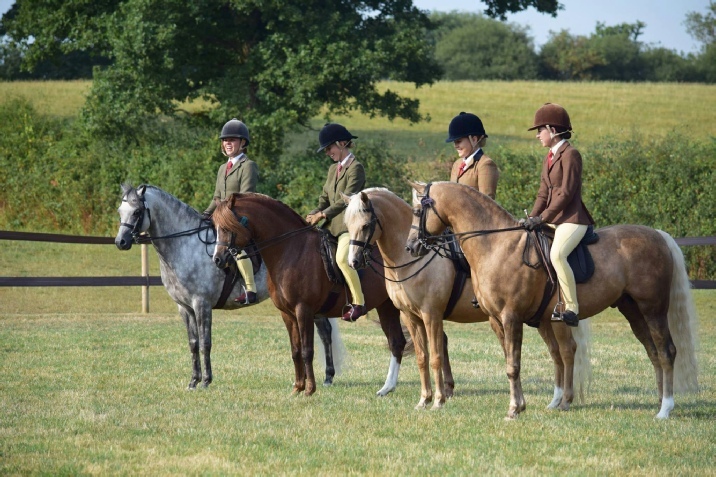 They also qualified for the HOYS Open Final at Royal Cheshire County Show in 2018 and were placed at the HOYS Final. Aden (Carrwood Orpheus/Lemonshill Alarch) is produced by Leanne Mitchell. Carrwood Zeus, stallion by Carrwood Bronzewing out of Isley Walton Athena owned by Katie Louise Baxter and produced and ridden by Megan Hewitt. Zeus qualified for RIHS in his first season as a novice. Above: Carrwood Songlark, (Carrwood Orpheus/Lemonshill Alarch) as a 7 year old broodmare, shown here taking the Silver Medal at The North Western Association Summer Show in August 2017. Songlark is a Royal Welsh Show winner, (2nd RWAS in 2017 and 1st Cheshire Show). She is also a former Royal Welsh Winter Fair winner and Reserve Champion. And ‘Best Filly’at the Glanusk Welsh Stallion Show as a youngster. Her colt foal in 2017, Carrwood Skydance (Moelview Moonstruck/Carrwood Songlark) was 2nd Royal Welsh, 1st NWAWPCA Summer Show, 1st Royal Lancs etc. Above: Carrwood Summertime, (Carrwood Bronzewing/Cennen Seraphine). 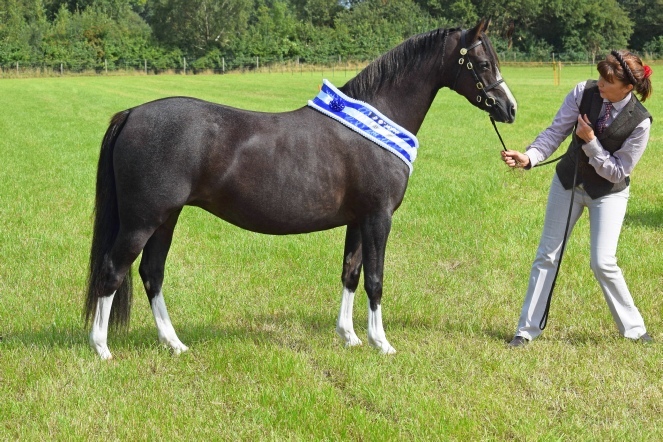 Shown here as a broodmare, taking the Silver Medal Championship at The North Western Association Summer Show in August 2016. Summertime was also Supreme Champion Day One of The Royal Lancashire Show, 2018, Supreme Champion at West Yorkshire Association Summer Show & Reserve Champion Denbigh & Flint 2016. As a youngster Summertime was Reserve Champion Royal Bath & West, Champion Filly Lampeter Stallion Show amongst many other wins. Her filly foal in 2016, Carrwood Summer Breeze (Moelview Prince Charming/Carrwood Summertime) was 2nd Royal Welsh, Champion Foal NWAWPCA Summer Show, 1st Denbigh & Flint, 1st West Yorkshire WPCA etc. 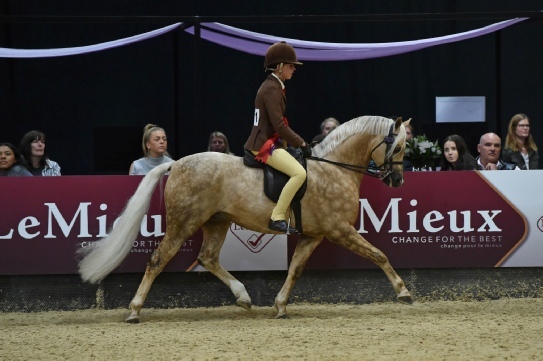 Carrwood Shimmering Gold owned and Ridden by Miss Lucy Glover wiining the Welsh Section B Open Fianl at HOYS 2019. Photo courtesy First Class Images.